Kara Zor-El is Supergirl, sent from Krypton just before its destruction. She is proven to be one of the most powerful heroes on earth. Supergirl is Superman’s Kryptonian cousin. She is also a white pawn in the Justice League chess set. Although still new to the planet Earth and still testing the full range of her amazing abilities, Supergirl has the potential to become the Man of Steel’s equal in every way. Kara wasn’t raised on Earth and her alien heritage has made it hard for her to adjust to her new homeland. Also this will be the last item in this collection as I have decided to discontinue collecting these. It was fun collecting these. Slade Wilson is Deathstroke the Terminator, one of the world’s deadliest assassins – but one with strong personal code. Deathstroke is a black pawn. An amoral assassin and bounty hunter who will stop at nothing to get the job done. Blessed – some would say cursed – with amazing metahuman talents, he is a one-man killing machine. While pawns are loyal to the king, Deathstroke only cares for himself. His only monarch is money. Hal Jordan has become one of the greatest Green Lanterns of all time. He is also a vital member of the Justice League. 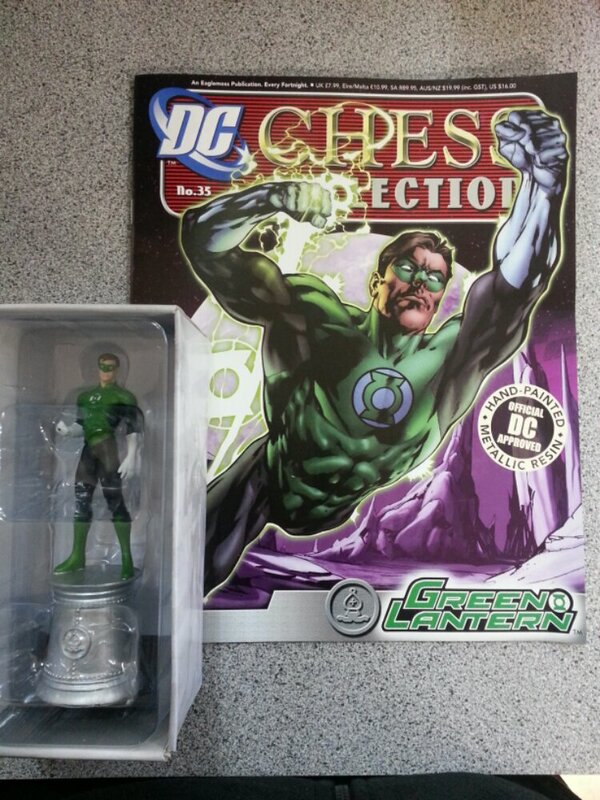 Green Lantern is one of the two white bishops in the Justice League chess set. Like the piece he represents in this collection, he wields great power and can strike suddenly, as if from nowhere. But also like the bishop, overconfidence and reckless behaviour can lead to his downfall. 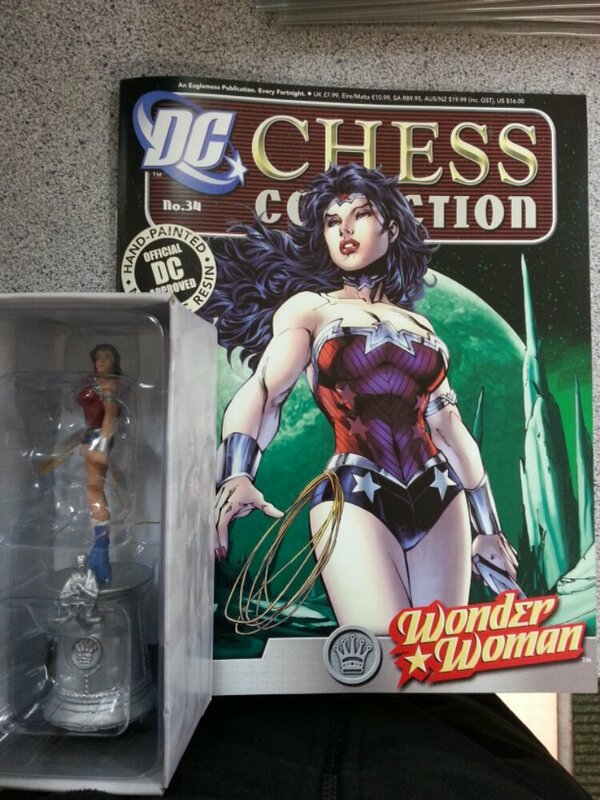 Wonder Woman – White Queen (#34) plus a free Justice League chess board. Princess Diana is Wonder Woman, the greatest warrior woman the Amazons have ever known and a powerful member of the Justice League. As a member of proudly independent warrior tribe, Wonder Woman is no stranger to conflict. 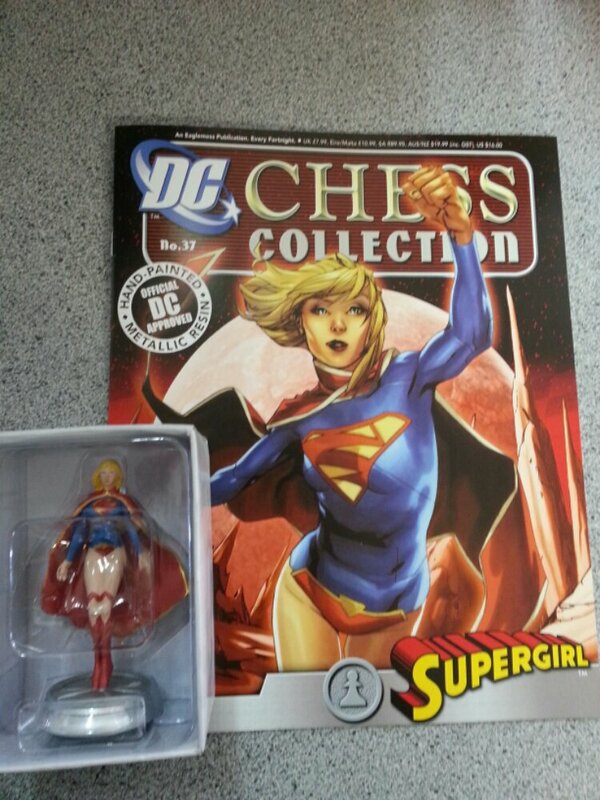 Like the White Queen that she represents in the Justice League chess set, she is strong and swift to action. She is courageous in defence of the weak and steadfast in opposition to the forces of evil. With this issue we get a free Justice League chess board. 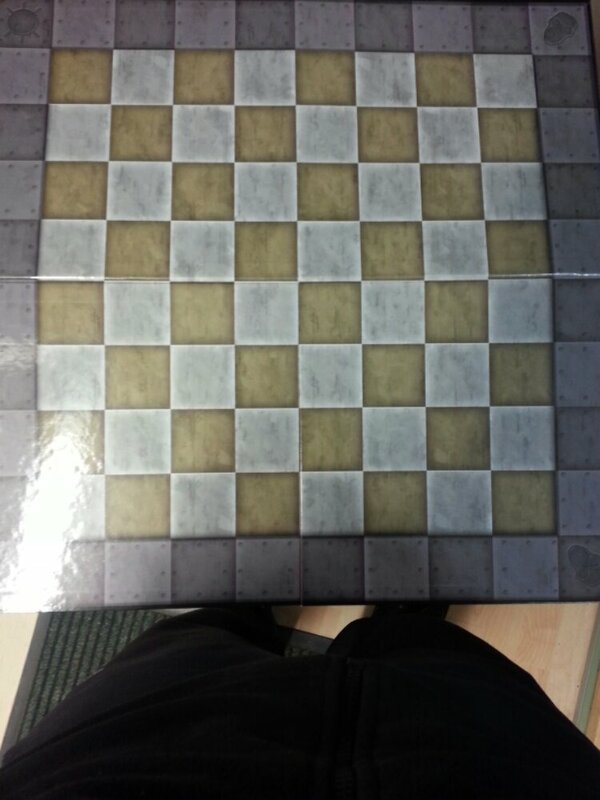 It is a basic cardboard chess board. Nothing special but will do its job. 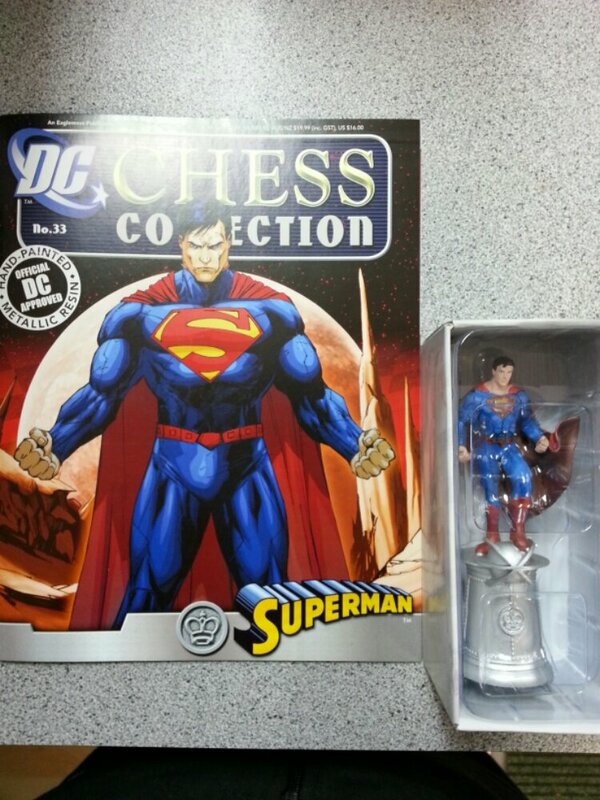 The DC Chess Collection continues with the inaugural piece of the Justice League set – Superman (White King). As the first superpowered individual to stride the public stage, he was an inspiration for others. His strength and courage make him the ultimate super hero. The Man of Steel – Superman is a true legend, using his superpowers to confront injustice whenever he finds it. He is the quiet strength and determination of the Justice League. While he is the team’s most powerful member, he allows others to take command, preferring to remain in the background until called upon to act. 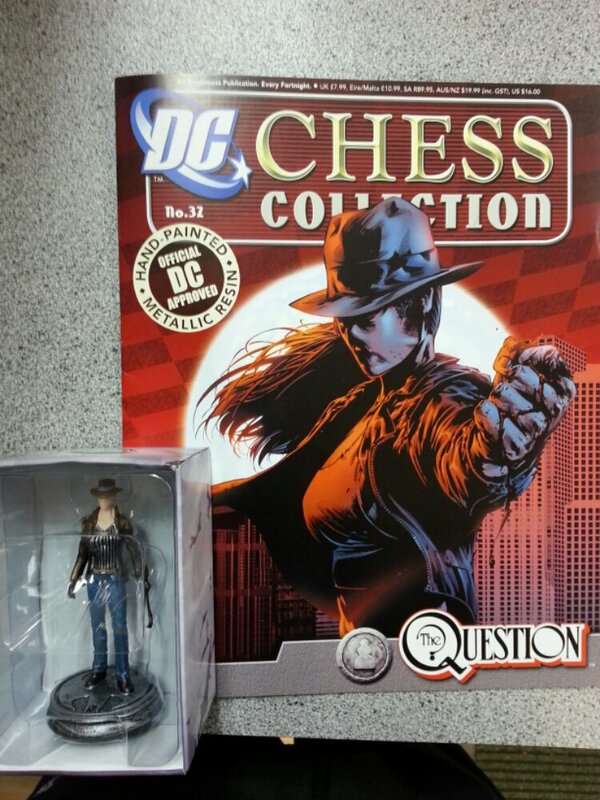 Renee Montoya is the new Question, chosen for the role by the previous incarnation, Vic Sage. She is an ex-member of Gotham City PD and has always been driven to seek the truth. She is also the collection’s last white pawn. 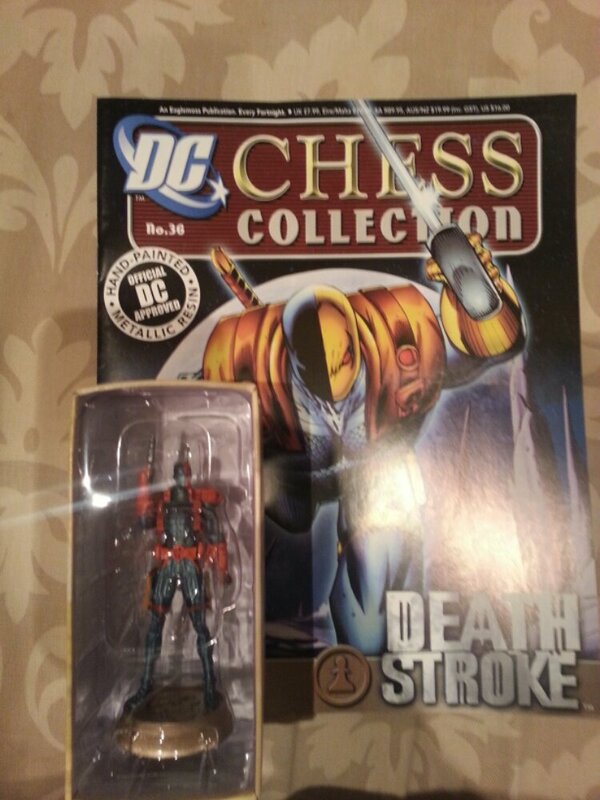 This is the last piece of the Batman chess collection. Next is the new collection of Justice League. Issue numbers will continue. And folks, next issue is the Man of Steel himself, Superman. Jean-Paul Valley is Azrael, programmed by the Order of Saint Dumas to be their angel of vengeance – until he broke free to become a hero in his own right. 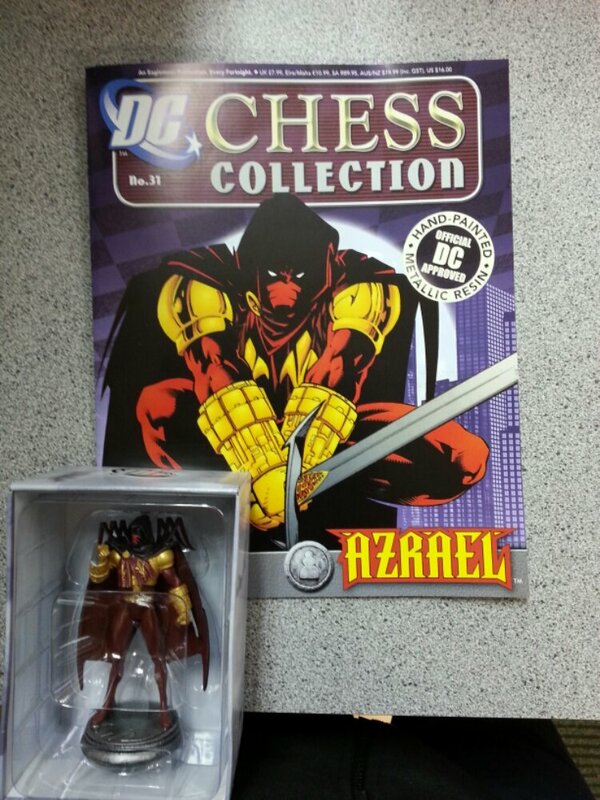 Azrael is also a white pawn, fighting for the Dark Knight’s forces.